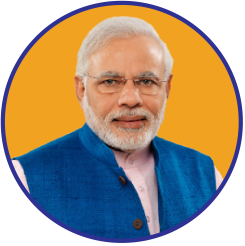 PM Narendra Modi will be in Kathmandu on 30th and 31st August to take part in the 4th BIMSTEC Summit. The Summit focuses on the theme ‘Towards a Peaceful, Prosperous and Sustainable Bay of Bengal Region.’ On the sidelines of the Summit, the PM will hold talks with several world leaders. PM Modi will meet PM KP Sharma Oli and review India-Nepal bilateral relations. PM Modi and PM Oli will also inaugurate the Nepal-Bharat Maitri Dharamshala at the Pashupatinath Temple Complex.